Are you looking to plan an event for your company or starting to think about where your Christmas party will be this year? Here at Any Boat, we take pride in having the ability to find the perfect boat for any occasion and provide you with the best experience. Choosing a venue for a company event will play a huge role in the productivity and participation of your employees. What better way to celebrate your employees and clients then by taking them out on a luxury boat to enjoy a gourmet meal, and champagne. The North Eastern Sydney NSW Business Chamber Awards were held last night at the Kirribilli Club and it was an outstanding night for Any Boat! Any Boat walked away with three major prizes including the coveted regional business of the year award. 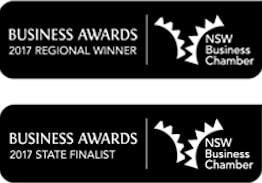 The other two prizes were the excellence in small business award and excellence in workplace inclusion award. The rumblings are increasing around Sydney Harbour in anticipation of the delivery of the newest and most luxurious super yacht, One World. Constructed at the world renowned Gulf Craft shipyard in the United Arab Emirates, the Majesty is its flagship brand. One World has been designed and built to its owner's very exacting and high standards. This only goes to complement its introduction to the Sydney luxury yacht charter market. The festive season has passed and we all took our time recovering from the New Years Eve hangover. We celebrated Australia day with a big bang and January is already over. What is something special you have done for the one you love? Valentine’s day is just around the corner and you haven’t even given it a thought. So what are you looking at doing? Flowers? That’s a given isn’t it? You do that every year. Dinner? Again! Would you like me to suggest a few things to do that will really make an impression? I’ve tried to make life easier for all those that haven’t given this much thought. Pay your deposit online today. Any Boat is the largest website for boat charters in Australia, through an exclusive network of private boat owners. We are the harbour cruise specialists and our partners around the country own and maintain some of the finest charter boats on the water. Our personal service is what really sets us apart from the rest of the charter boat and boat hire agents in Sydney. Our 1300 number diverts straight to a mobile if the office is unattended so you can be sure to get the fastest possible response for your boat hire or harbour cruise enquiry. We are happy to arrange last minute and after hour bookings. Our staff are also more than happy to arrange an inspection of any boat that you are interested in hiring and in some cases will even pick you up and take you there personally. Booking a boat with us is as easy as checking availability then paying a deposit to secure the booking. We take the work out of everything else and simply give you the details of where to arrive and at what time so that you can step on board to enjoy your harbour cruise. In these pages you will find a charter boat to suit any kind of boat hire. We have Function Boats suitable for all kinds of events including weddings, corporate Christmas parties, corporate events, family gatherings on Sydney Harbour, New Years Eve harbour cruises, and any other type of function you could imagine. We also have smaller boats for hire, which are available for your bucks party or hens party, your birthday party or your Christmas Party. For those looking for something with a bit of wow factor we have some of Australia’s most spectacular Super yachts and luxury motor boats. We also do plenty of deep sea fishing charters, sailing boat hire, and water taxis. New Years Eve cruises are a specialty area that require staff who know the boats they deal with inside out. Boat hire on New Years Eve comes with a price tag so you need to be sure you are getting the right advice and getting the right new years cruise at the right price. Boat Hire with Any Boat. Any Boat has been around for some time now and specialises in boat hire of all types throughout Australia with a heavier focus on the Sydney Harbour market. Any Boat aims to make boat hire simple and easy to organise, and our end goal is to make sure that you have the best boat hire experience possible, with the least amount of fuss. Any Boat has well over one hundred boats available for boat hire throughout the country and they are available in all major cities all year around. Our boat hire options range in size from boats that accommodate boat hire for 2 people right up to 900 people. The boat lengths go as high as 130 feet. During the summer months Sydney Harbour is the boat hire capital of Australia and Any Boat organises hundreds of cruises over the season for a vast array of boat hire occasions. As you would expect boat hire on weekends is most popular and it is advised that you book as early as possible to avoid disappointment. Boat hire on Friday nights, and all day and night on Saturday is often booked months in advance but there is usually something available last minute for people organising boat hire with little time to spare. Sunday boat hire is one of the best times you will have on Sydney Harbour and for some reason it never seems to be overly busy. If you are wanting a boat hire event for no particular reason then a Sunday session on the water is the way to go. There are far less boats out and about and there is a bigger pool of boat hire options to choose from. It is a great opportunity to get out with friends and have a beautiful afternoon on the water under the sun anchored in a small bay enjoying some swimming and a bbq. Outside the summer months boat hire in Sydney is busiest with corporate events and fishing charters. Some of the best fishing is during the winter months and we can organise boat hire on fully crewed boats that supply everything. It is a walk on walk off scenario that enables you to enjoy boat hire with a professional fisherman who knows exactly where to take you to get the best fish. Corporate events and product launches are also a big part of the boat hire activity on Sydney Harbour and they often end up with large boat hire packages designed entertain bigger groups and wow them with what boat hire on Sydney harbour has to offer. |One of the other more popular boat hire options through winter is sailing in the Whitsundays in far north Queensland. It is one of the few places where self drive boat hire is available. Any Boat works closely with quite a few boats leaving from Hamilton Island and can arrange both sailing boat hire and motor boat hire. For sailing boat hire there is the option to enjoy your stay on either a catamaran or a monohull yacht and motorboats are all catamarans. All of the other states also have boat hire available throughout the year and no matter where it is, Any Boat is here to make sure your boat hire is going to be a memorable event. You can enquire directly on any of the boats or just send us an email or pick up the phone and give us a call any time. Visit our boat hire category to see what boats may be suitable for your next boat hire event. Any Boat is one of the largest Boat hire and harbour cruise companies currently operating out of Sydney Harbour and the surrounding area. With access to over 50 charter boats ranging in size and style from the small and intimate to the 400 seater floating function centres and everything in between we here at Any Boat can find the right Harbour Cruise Charter Boat to suit both your needs and your budget. Intimate dinner cruise on Sydney Harbour with that special someone? Lunch Cruise Sydney. A business lunch with a difference. Christmas Cruises – tired of the same old work Christmas party? Our Christmas cruises are a great way of making sure your office party is unique and memorable. With a whole lineup of private vessels available for charter, hiring a boat for your party to enjoy a harbour cruise in private is a great way of experiencing this wonderful city and the harbour that has made it so famous. Party Boat Hire – the Party Cruise is where it’s at! Whether you are hosting a bucks or hens party or simply celebrating a friends birthday party, choosing to celebrate on Sydney Harbour is truly a magnificent choice and one that will be remembered by everyone involved. New Years Eve Cruises – The Harbour Cruise to end all harbour cruises is the Sydney New Years Eve Cruise – and your guaranteed front row seat to the greatest new years fireworks show in the world. Regardless of what type of harbour cruise you are looking for, if you are looking to hire a boat for an upcoming harbour cruise then Any Boat Pty. Ltd. have the vessel to suit your needs and your budget. How can we make this sort of guarantee? When it comes to a Sydney Harbour itinerary, the New Years Eve Celebrations and the fireworks show would have to be up there with the most important events on the social calendar – and with a Harbour that looks like Sydney’s – it not that surprising to understand why. Take two of the most recognisable landmarks, the Sydney Opera House and the Harbour Bridge and place them centrestage and what you are left with is a night not to be missed. New Years Eve Cruises are without doubt the best way to see this year’s Sydney Fireworks spectacular because you avoid the sea of revellers that line every inch of foreshore and every available vantage point from here to Timbuctoo. Trust me when I tell you that if you are not already in your spot ready to watch the New Years Eve fireworks by say 5pm – a good 7 hours before midnight, then you will not get a good spot. Or you could just book your ticket on a Sydney New Years Eve Cruise and casually stroll down to the wharf around 7pm to get your seat – which then moves you into position where you are literally front and centre. Here at Any Boat we are lucky enough to have partnered with some of the best New Years Eve Harbour Cruise boats so as to make sure we have the right ticket and boat to suit your individual needs and budget.